Artworks within the CSU Art Collection are hanging in public spaces within the University's many, and dispersed campuses. 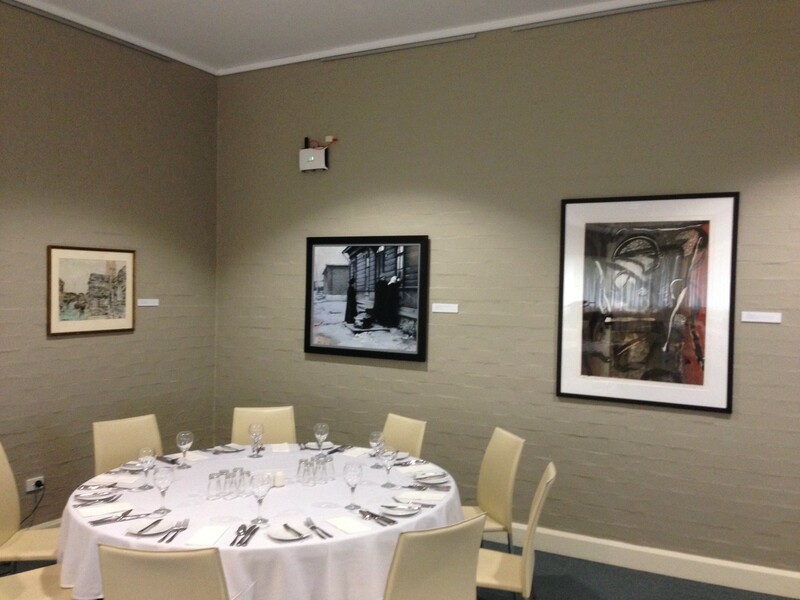 Artwork can be found in our libraries, lecture theatres, office buildings, some executive offices, in dedicated exhibition spaces and within the campus grounds as sculpture. Artwork on display at the Chancellor's installation in 2014. Artwork on display at the Chancellor's installation in 2014. 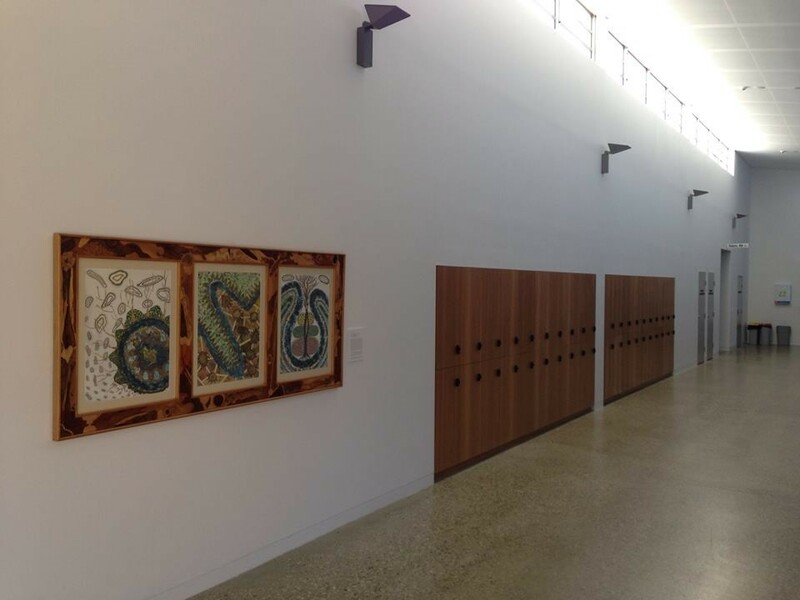 Artwork recently installed on Bathurst Campus. Two limited edition artists prints by Abie Jangala, 'Water Dreaming State 2', 1997 and Paddy Fordham, 'In the Beginning of Time', 2007, gifted through the Commonwealth Governments Cultural Gifts Scheme by Adrian Newstead. 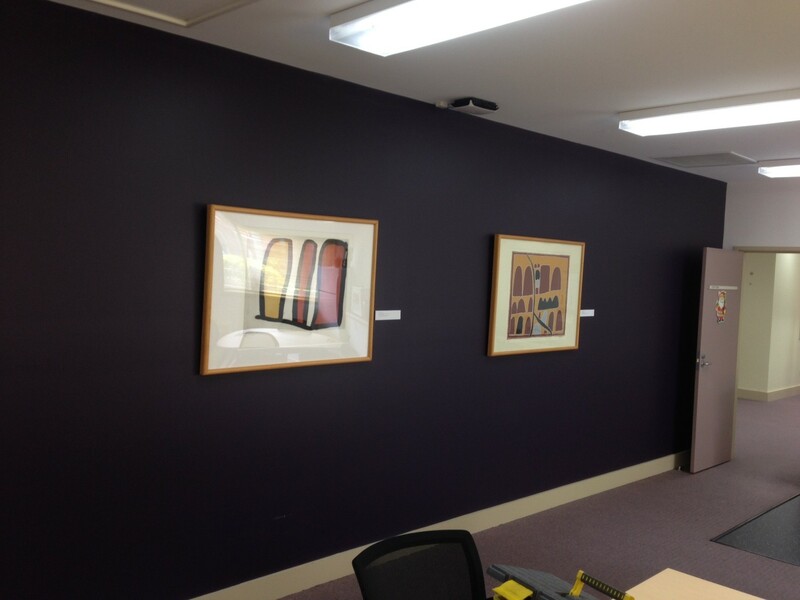 These two are hanging in the Community Engagement and Wellness Centre, Albury-Wodonga Campus. The opening of the MONOuno exhibition at the Wagga Wagga Art Gallery. 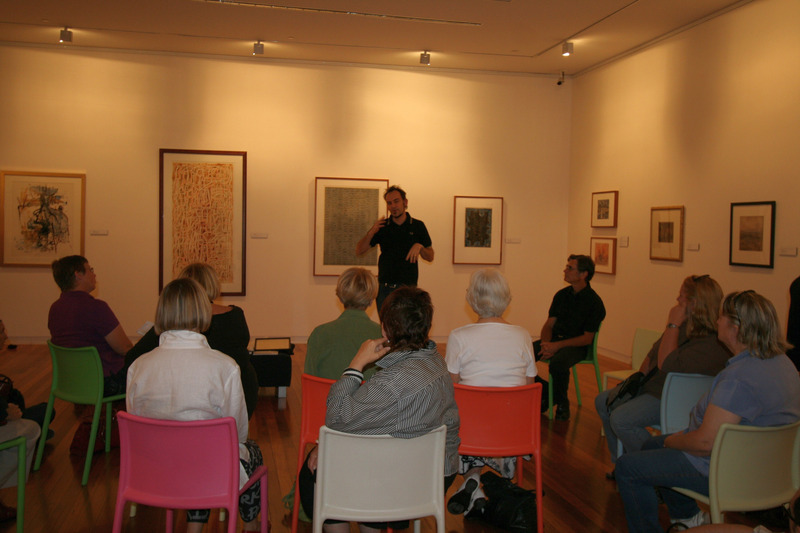 The opening of the MONOuno exhibition at the Wagga Wagga Art Gallery. 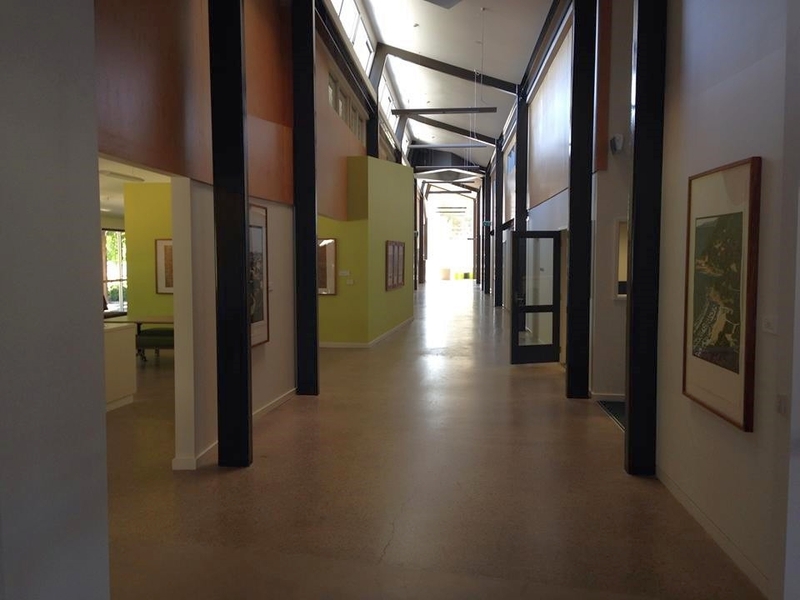 Artworks by Treahna Hamm, Dianne Fogwell and others adorn the walls of the newly built Wangaratta Campus. 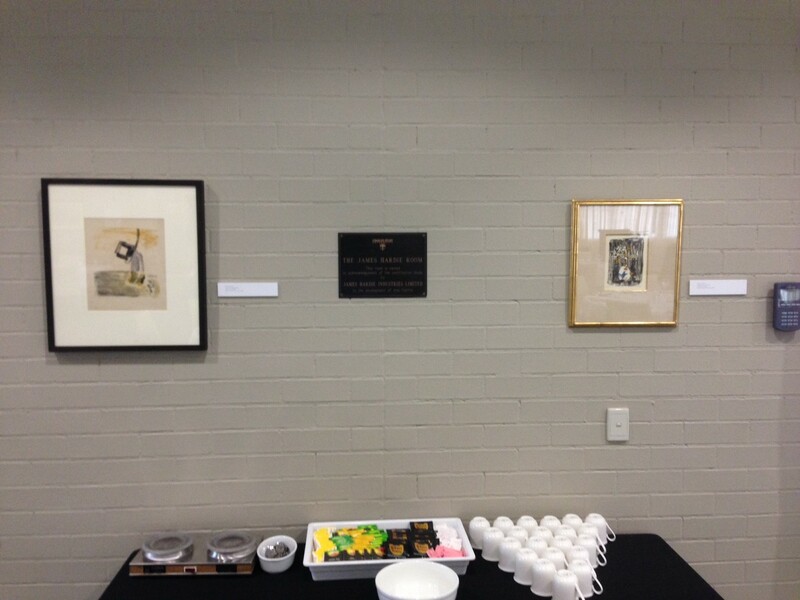 Artworks by Treahna Hamm, Dianne Fogwell and others adorn the walls of the newly built Wangaratta Campus.